Full control of your RAM usage. No Root required. 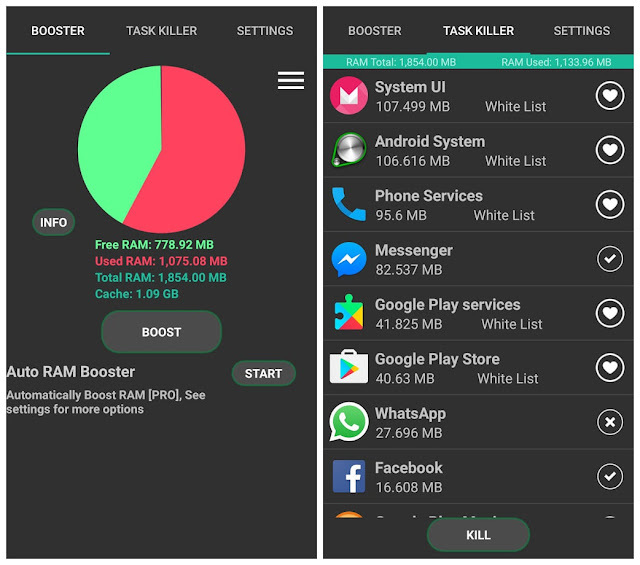 RAM Booster eXtreme Pro Comes packed with a task killer that kills tasks without crashing killed apps. Introducing a safe task killing mechanism in Android. Lets not kill them brutally!!. 1 Tap Home screen Widget [NEW]. Save Battery by killing malfunctioning Tasks\Services. Booster Levels: Normal, Strong, eXtreme, Super eXtreme. No crashes for killed App. 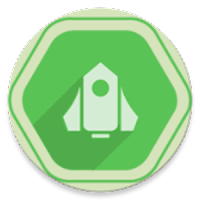 Notify after Auto RAM Boost. 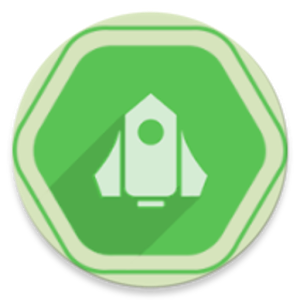 Task Killer: Your Android will run smooth and faster, Safe Kill Tasks now. Boost your RAM by safe killing tasks. Kill any tasks that consumes RAM. Safe kill Services and Process of any Apps without making those App crash. Kill tasks all together or individually. White-list Add/Remove. (Apps in white-list won't be killed). Save battery by killing apps that drains lot of battery. Uninstall Apps that seems to be suspicious. See details of tasks before killing.